Buy a language course and gift someone a CourseLoka Gift Card. 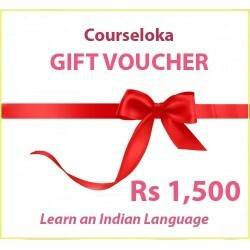 Buy a gift card for your parents, children, spouse, friends, colleagues, employees, maid, cook, driver, and give them the gift of a language for a lifetime. They will appreciate it. Gift Cards There are 11 products.